Looks like the Todd Standing hoax has been exposed (again). First it's his silly looking, glassed eyed bigfoot that Sweaty Yeti at Bigfoot Forums has proven to have been photoshopped (See above photo) and now his other bigfoot photo, which most people loved, has been debunked by Para Breakdown in the video below. A very good effort from Sweaty Yeti and Para Phil. Nice job guys! Now, this was all starting to get a big following despite what anyone could shows or say about Standing's history and background. It all had a smell of the Rick Dyer hoax, it's about the money. The fact Todd and his sister, Louise Standing own a production company and many other warning signs pointed out by Steve Kulls, made no difference in a lot of peoples minds. They would say "oh but he is teamed up with Les Stroud", well, if Les is truly interested in Bigfoot he could not have chosen a worse person to team up with. Here is the problem, these people who keep hoaxing just do not know much, if anything, about bigfoot. In some cases I'd guess they don't even believe in bigfoot. They have agendas, agendas like making money, passing protection laws, getting famous, getting on TV....ect. 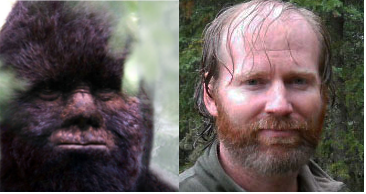 Please people, stop supporting these hoaxers and listen to people who really do know a little about bigfoot. Listen to people who actually go in the woods, have actually found tracks and made casting, people who have actually seen the creature and not just some guy who sits on his couch and computer plotting his next fake story. It's very frustrating to see these phony and fake researchers getting massive support while good honest researchers efforts get pushed to the side. It only clouds the water when hoaxes get supported. 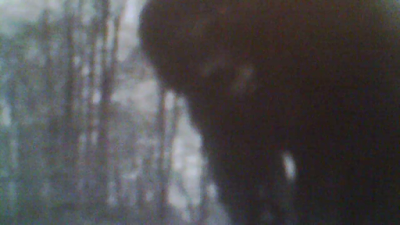 I'd much rather see a blurry photo of a possible real bigfoot than some faked or hoaxed clear photo. Bigfoot is 100 percent a real living breathing creature/being, but it's no wonder people doubt it's real after all these hoaxes and fake researchers get promoted all over the internet and TV. I truly think some of them are here just to discredit the field and destroy reputations. Without a doubt, some will still be supporting this hoax, nothing could prove it to them, but that is what they are counting on and banking on. I guess they will laugh all the way to the bank and watch the TV ratings soar. I wonder if any apologies are coming? I'm guessing no. None of the main players in the Dyer hoax apologized, that I'm aware of. Ok, my rant if over for now I guess. Again Good work by all those who have help expose this hoax. Keep sharp everyone there will be more if history tells us anything. it's fake ...his sister is a make up artist ...they own a production company ....he's just another liar. Hilarious. Put Standing in the same category as Dyer, Smeja (you might as well throw Moneymaker in there too just for being an arrogant prick). A bunch of lying, arrogant assholes who should be sprayed with female Sasquatch "in heat" pheromones & then be placed in with a group of bachelor adult male Sasquatch with no lubricant. Ouch !! Some corrections. That photoshopped image was actually done by a man named Alex Putman to show what the face might look like with the branches removed. That's what that image is that Sweati Yeti made with the branches going on and off. 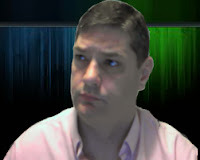 The other photo with Standing's head morphed onto alleged bigfoot head will not work because if you measure the distance from the center of the lips to the bottom of the nose it is the same on both, but the distance from the center of one eye to the other is much wider on the bigfoot. If it measures the same one way but not the other it can't be Standing's head in both images. As far as article by Phil Poling here's an article showing all of their inaccuracies and false data.